Humans always have a way of making their lives harder than they really need to be. 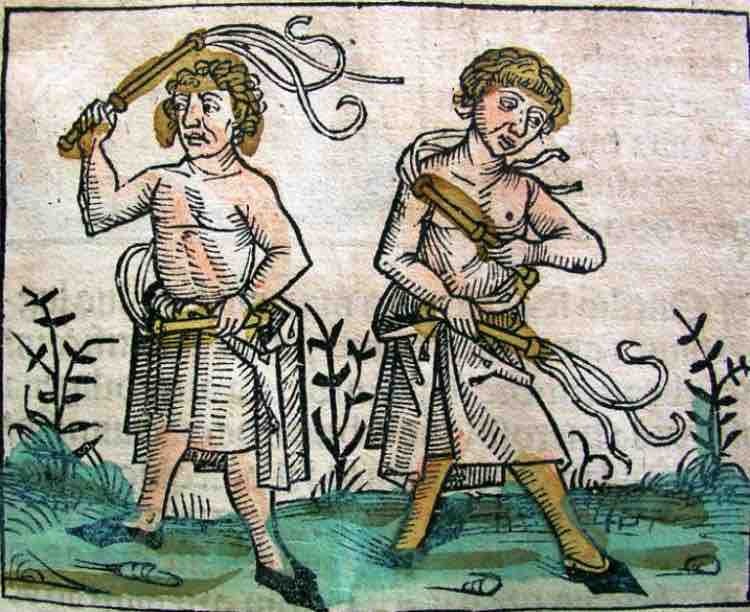 The electronic medical record gives us a great tool to do this and creates an opportunity for endless self-flagellation. Our hospital (Ohio State University) uses Epic, a pretty good electronic medical record. I also practice at Select Specialty Hospital that uses Epic. My wife practices in another hospital in town that also uses Epic but how the same electronic medical record program is used is completely different at each of the three hospitals. It illustrates how the same EMR can make your life easier in one place and be torturous in another place. At OSU, we load the past medical history, surgical history, smoking history, and family history into a location in the EMR where it can be pulled into every new progress note. That way, you don’t have to type all of the information into your note each time. At my wife’s hospital, the culture is that in the outpatient setting, this information should be obtained independently and typed in by every different physician who uses the EMR. So, the physicians spend far more time for each new H&P and each new consult that they create. Waste of time. This is a problem for every physician and every hospital in the country. It means confirming what medications the patient is and is not currently taking. We do it whenever a patient is admitted to the hospital and discharged from the hospital. And we do it at every outpatient visit. It takes a lot of time and when physicians get busy, they usually don’t bother to update the master list of current medications in the chart. At my wife’s hospital, they are also required to do medication reconciliation for phone calls, even for simple refills. That means going through the entire medication list and confirming each medication, dose, and instructions. The problem: it discourages the use of the EMR for phone calls and refills since it is easier to just call them in to the pharmacy rather than send them in through the EMR and have to do all of the medication reconciliation. Traditionally, the patient’s medications are considered part of the “past medical history”. For Medicare and insurance purposes, non-physician staff (RNs, LPNs, MAs, etc.) 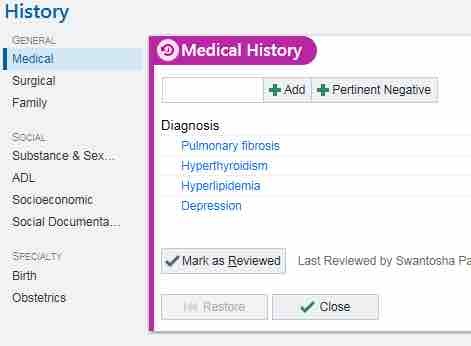 can enter information into the past medical history to update the patient’s record. This is enormously helpful for new patients when all of the patient’s previous medical illnesses, allergies, smoking history, surgeries, medications, and family history have to be entered into the EMR. An efficient medical practice allows all of the office staff to practice at the top of their license so that the physician does not need to spend valuable time typing in all of this information. At most hospitals, entering those historical medications is considered part of the past medical history so the MAs and LPNs can enter all of that information, leaving the doctor more time to spend with the patient. However, many hospitals consider deleting any medication that the patient reports that they are no longer taking as a medical order, meaning that it has to be done by a physician and not the RN, LPN, or MA. As a consequence, physicians have to manually delete any medications. Unfortunately, the “delete medication” window is not window that the physicians necessarily go to so most of the time, physicians fail to delete medications. Consequently, there is the potential to have medication lists that include 2 or 3 different doses of a hypertensive medication listed and have antibiotics stay on their medication list even though they only took them for seven days in 2009. Excessive regulation = bad data. At OSU, we do our billing through the EMR so that when a note for a patient encounter is completed, you go to a separate window and enter all of the billing data. This is easy for outpatients because the program is set up so that you cannot close that particular encounter on the computer until you enter the billing data; so the encounter continues to appear on your EMR screen until you enter the data and close the encounter. For inpatients, there used to be no way of ensuring that the billing information was completed for daily notes; if you didn’t remember to open the “charge capture” window after you did a progress note, then no bill was created. The result is that 5-7% of all inpatient physician encounters can go unbilled. So, we worked with Epic to create a billing information window that would automatically pop up whenever a physician completed an inpatient progress note and this has significantly reduced unbilled encounters. In Select, there are billing screens in Epic but they cannot be tied into our physician billing department so the physicians have to complete paper billing sheets for each encounter. The problem: it can take an additional 20 minutes to fill out all of the billing sheets at the end of the day and many encounters go unbilled. Furthermore, many physicians do not realize that the billing screens don’t connect to our billing department and continue to enter the billing information in the Select Epic, wrongly thinking that the billing information is going to the billing department. Dollars lost. When we open the charge window in Epic to enter our billing codes (CPT codes) for inpatient encounters, we also have to enter the specific diagnoses that we were managing with that encounter. At Ohio State, the Epic program remembers what diagnosis codes we entered the previous day and automatically imports them into the charge capture window, thus saving us from having to re-type all of the diagnoses each day. This is particularly helpful now that the United States is using the ICD-10 diagnosis codes that are very, very specific. So, for example, you can’t just enter a diagnosis of “ankle fracture” – you have to enter “ankle fracture, left, closed fracture, acute, subsequent encounter”. Consequently, it can take a long time to find the diagnosis that actually fits the patient. And since most of the time, the physician is seeing the patient for the same diagnoses every day of their hospital stay, automatically importing those diagnoses can save a lot of time that the physician could better spend actually taking care of the patient. On the other hand, at my wife’s hospital, the diagnosis codes are not automatically imported and so the ICD-10 codes have to be re-entered by the physician for each individual charge every day of the patient’s hospital stay. Total amount of time wasted: 5-10 minutes a day. SmartLists are a selection of phrases that you can insert into a progress note that appear in a drop-down list allowing you to choose one or more of those phrases to insert into a progress note. For example, a SmartList for respiratory symptoms could include: “chest pain, shortness of breath, cough, hemoptysis” allowing you to pick one when you come to that drop-down menu. Epic comes with some built-in SmartLists but they are pretty generic and do not always fit the needs of the individual physician. So, at Ohio State, we have the capability of creating our own SmartLists with whatever words or phrases we want to include in them. However, Select does not grant physicians the ability to create their own SmartPhrases, thus forcing us to use phrases and words that may not exactly fit our needs. The result is that you either have progress notes that don’t really make much sense or the physician has to manually type in all of the words that he/she really wanted to use. At Ohio State, when a patient is admitted to the hospital, all of the medications and allergies have to be entered, but the order that they are entered doesn’t matter. At my wife’s hospital, the physician has to click a button attesting that he/she reviewed the allergies before the computer will finalize medication orders. But here is the thing… there is no prompt to review the allergies. So, if the physician fails to review the allergies, they can go ahead and enter all of the admission medication orders but after they are all entered, the orders cannot be signed until the physician goes back and clicks a button stating that they reviewed the allergies. The problem is that all of the medications that the physician just ordered can’t be saved so the physician has to go back and click the “review allergies” button and then re-enter all of the medications that were just deleted when they left the order entry screen. You can measure how well your physicians are adopting to the electronic medical record by the number of 4-letter words uttered per hour while using the EMR. I call this the PPH (profanity per hour) index. If the index exceeds 20, then you have electronic medical record optimization opportunities.